← London Citizens’ Mayoral Assembly: 28th April 2016. 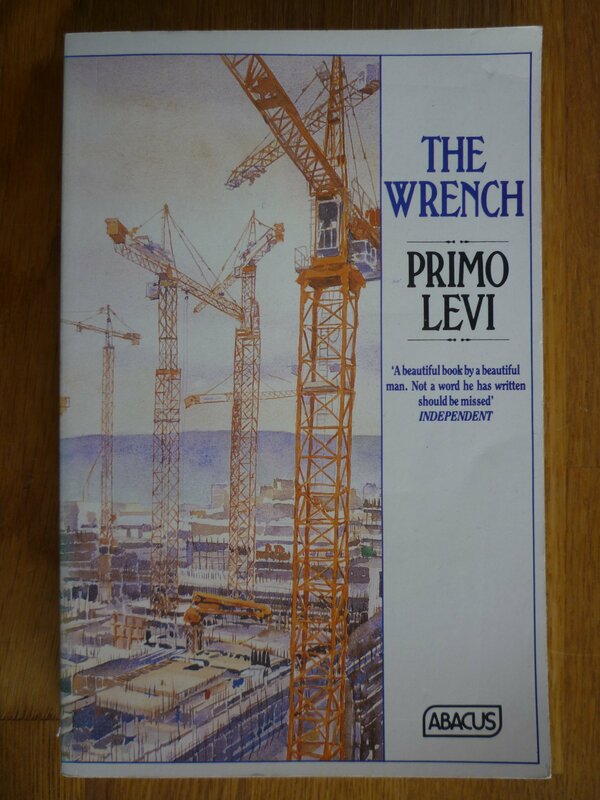 In his wonderful La chiave a stella (The Wrench) published in 1978, Primo Levi shares with us an exchange of stories told by Faussone, the itinerant Piedmontese rigger, and a narrator who, like Levi himself, is an industrial chemist at the point of becoming a full-time writer. The various tales all invite us to consider the meaning of human labour without any lecturing or moralising. The combination of knowledge, skill and experience required to do good work and the satisfaction of a job well done are celebrated but not eulogised. The stories in ‘The Wrench’ provide a range of perspectives on the very human desire to solve problems and bring some order to a chaotic world; whether by rigging a derrick which will withstand the forces it will be subjected to, or ‘rigging’ the molecular structure of a paint which will perform to the required specifications, or even ‘rigging’ a story which can move its readers. Should the educator take as their model the smith, who roughly pounds the iron and gives it shape and nobility, or the vintner who achieves the same result with wine, separating themselves from it and shutting it up in the darkness of a cellar? … Is quenching a better didactic system than the tempering that follows it? Beware of analogies: for millennia they corrupted medicine, and it may be their fault that today’s pedagogical systems are so numerous, and that after three thousand years of debate we still don’t know which is best. Educators today are still involved in debates of the didactic ‘pounding’ versus child-centred ‘fermentation’ type. Do we yet know whether the sudden shock of high-stakes ‘quenching’ is better than a more gradual ‘tempering’ process as a technique for strengthening learners? It is sadly true that many jobs are not lovable, but it does no good to approach work charged with preconceived hatred. Those who do this sentence themselves for life to hating not only work, but also themselves and the world. We can and must fight to see that the fruit of labour remains in the hands of those who work and that work does not turn into punishment. Love or hatred of work is an inner legacy which depends greatly on the story of the individual and less than we think on the productive structures within which the work is done. Levi is certainly writing in praise of purposeful human labour but he avoids overstating his case by attributing to it some special dignity. We live to work, and both enforced idleness and meaningless drudgery are to be avoided. We need to aim for a system where everyone’s ‘individual story’ can lead them to find work as satisfying and rewarding as do Faussone the rigger and his interlocutor the chemist-writer. This entry was posted in Culture, Education, Philosophy, Reviews and tagged Education, employment, La Chiave a Stella, labour, learning, metaphor, Primo Levi, The Wrench, work. Bookmark the permalink.